If you are a Bend parent with an active kiddo, you may have had just this conversation, as well. Just as I do, about every other month. And I think it’s cute how Bouncing Off the Wall has become such a Bend fixture, that it can now be referred to as simply ‘Bouncing’! When we moved to Bend in Winter 2013, my sis and bro-in-law gave us a gift for a few visits to Bouncing Off the Wall. Bean and I soon became serious regulars…going three times a week during ‘Age Specific Play’ (Now called “Pre-K Play”, more on that in a bit.). We’d, also, go on days Daddy had off work and days that Ama & Apa were visiting, basically we were there a lot…and it was great fun! Soon…the Winter gave way to Spring and Summer… during School Holidays Pre-K play goes on hiatus. We, also, took a break from Bouncing, this gave us an opportunity to explore Bend during our first Summer living here and to see what it has to offer! What we learned is that Bouncing is everywhere! 😉 I’d see Alissa and/or bouncing houses out and about during all the Summer Festivals! When we returned to Bouncing about six months later, it was a delight to be welcomed back with great big smiles from the staff…and it was amazing to see how Bean now interacted with the toys and bouncing houses! 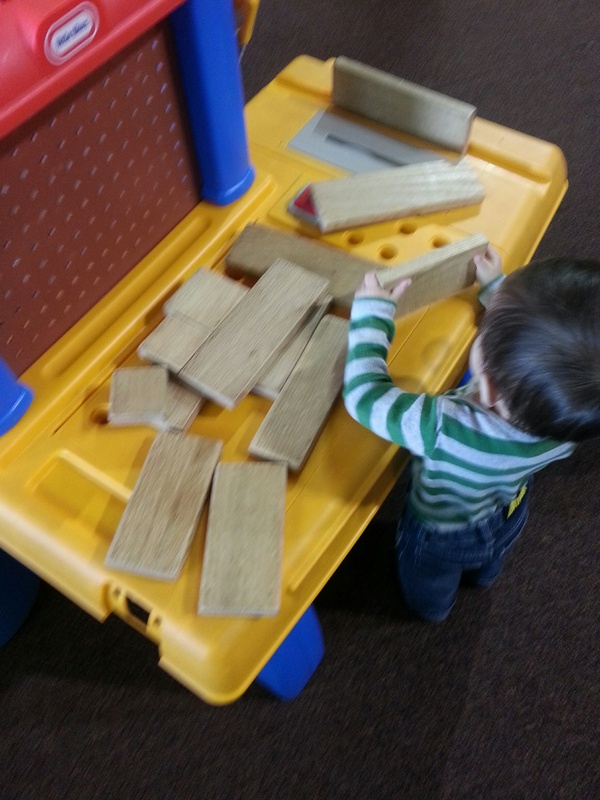 This gave me a real gauge of his development…it was such a joy to watch him play with things in a more involved way and interact with other kiddos in a new way! Bouncing Off the Wall developed, also…having changed the name of Age Specific Play to Per-K Play (a more fitting description) and adding ‘craft time’, in the back (birthday) room, during this time. Fun! Bouncing Off The Wall offers WiFi connection and a Lobby area for eating and working…plus a large sectional sofa is available for lounging and working. Importantly, I’ve connected with some great mama’s here! Along with joining Mom’s Meetup of Central Oregon (MMOCO), I found Bouncing a great place to make a few good friends! MMOCO, also, hosts events at Bouncing periodically! So…maybe we’ll be seeing you at Bouncing!! In the meantime, here’s some info about Bouncing Off The Wall that may be helpful to you! This is time for kiddos aged Kindergarten and under…with a few more toys out and about, such as Magna Tiles, Building Blocks, Melissa & Doug Castle, and more! Super great development opportunities for these cutie toddlers! Pre-K Play is not on when School is out for Holidays or Vacation. This is the sweetest little spot for the under 2yr olds to play! 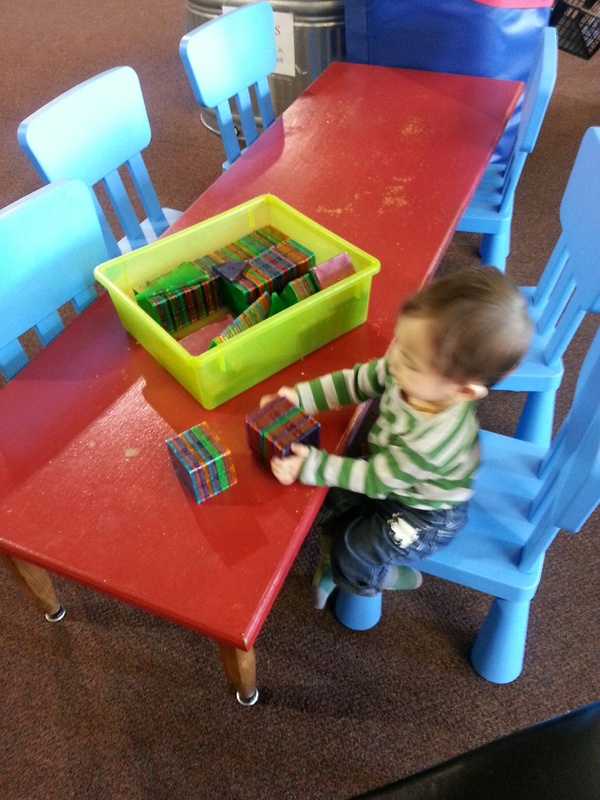 Age appropriate toys, bouncing chairs, and play ‘tables’. Even a chair and nursing pillows for mama! I’ve seen a new mama (or two) sitting in the chair, located in this area, taking a 5min nap (likely dozed off ‘unwillingly’) with her new babe…I feel ya mama…completely understand that! 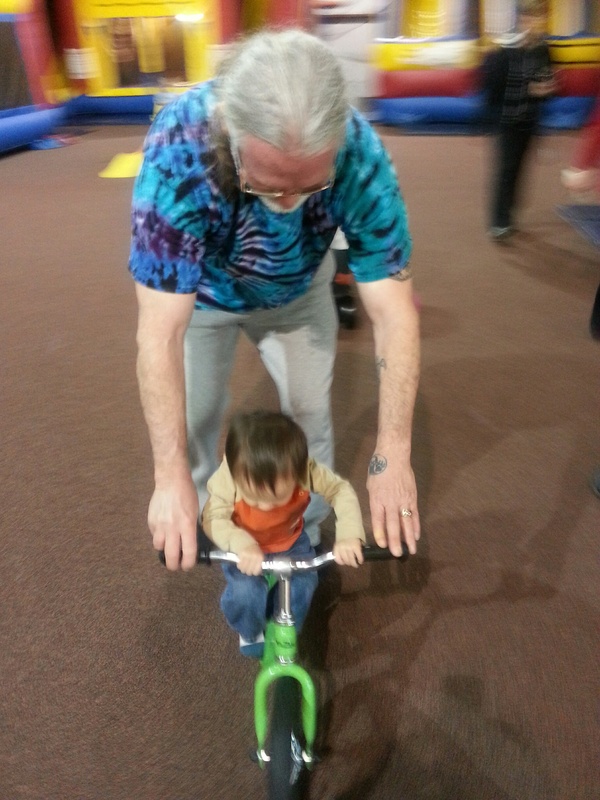 Bean is not yet old enough, but Bouncing Off The Wall offers a lot more that we look forward to enjoying in his future! We attended a Birthday Party in Fall at Bouncing…it included private play time for a while, then we all shuttled into the party room and had pizza and cake. Our little friend then got to open his gifts on the inflated Throne…ummm…THAT was so cool!! Bouncing Off The Wall offers various packages for birthday celebrations, currently ranging from $99-$349 depending on day, number of people, and pizza and/or ice cream. There are, also, a variety of ‘add-ons’ one can add to their party package. Let me just add, after hosting two birthdays, thus far, at home…we’ve spent as much money and had to clean up after ourselves afterwards! So, this seems like a pretty good deal and fun time! Wow! Apparently, one can, actually, rent some of the bouncy houses! I didn’t know that until I looked at their website, in research for this blog post. There are quite a few options for structure and price. Bouncing Off The Wall offers a coffee bar, cold & hot snacks/lunches, and smaller snack packs. or $30 for One Month Unlimited for One Child, $25 for additional child. There are, also, Punch Cards that can be purchased, that thus do not need to be ‘used’ within a Month’s time. Kiddos need to have socks on, but no shoes…if you forget, Bouncing have socks available for purchase.